The term Bardo means ‘a transitional time’ and, as such, offers a heightened potential for inner transformation. The original Bardo Thödol was an ancient method used in Tibet to support the transition of dying. Osho has asked that a new, more contemporary version be created that support people who want to die consciously and in spirit of celebration. OSHO Bardo can be used as a regular meditation to help us to relax and know more awareness and joy in our everyday lives. It is also a preparation for the crescendo of life and the greatest experience of letting go that we will encounter - letting go of life itself. 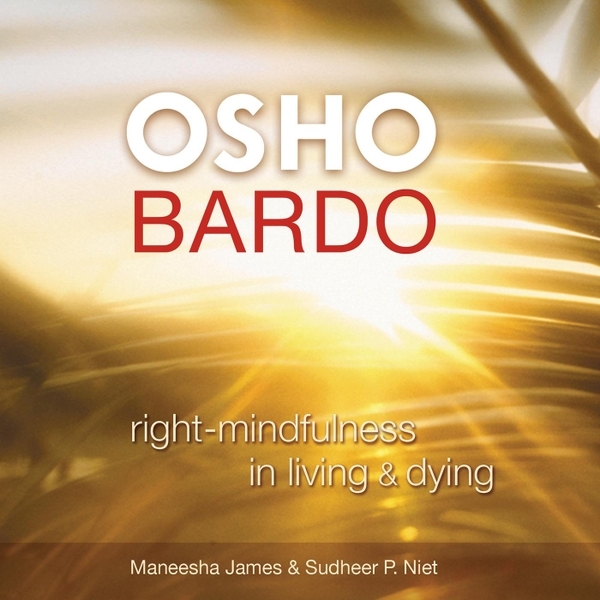 OSHO Bardo is a profound and meaningful response to the widely acknowledged need for a new approach to the end-of-life process. Free of any religious or cultural beliefs, it is rooted in the experience of moving into the depths of our inner world. OSHO Bardo’s secular, experiential foundation makes it valuable for those millions of people who are not necessarily related to any religion and who do not look to established religions for support when dying. The process is 45 minutes long and is set to music. A male and female voice gently guide the listener through a state of relaxed, inner alertness into the light and joy within.